Using technology in your classroom is a brilliant way to get students to interact with lesson content and get engaged. 2017 has been an exciting year for the education sector, with advances in 4K and lamp-free technology making high-quality projectors affordable for every budget. Some models now allow for Picture-in-Picture, which allows apps to run video activity in a pinned video while another activity continues seamlessly in the background. If your school has invested in lamp-free technology, it’s time to get to grips with the projectors in your classrooms and get creative with your lesson content. Art lessons get digital! All you need to do is project a high-contrast black and white image onto a wall and get your students to start tracing with whatever medium they choose. Take it a step further by encouraging your students to bring their own devices and load apps such as Microsoft’s Fresh Paint, a digital canvas for creating original artwork. With screen casting you can even teach your students the joys of collaborative working, a hot topic in the tech world right now. Whether it’s limited resources or simply a logistical nightmare, sometimes it’s just not the right time to run a school field trip. This doesn’t however mean that your students have to miss out. Use online technologies such as Google Earth to explore locations from around the world; coupled with your projector, the whole class can be involved. Advances in lamp-free technology means that projectors can be turned on and off immediately so that lessons can be started instantly. There are no limits to where you can take your students! Encounters Film Festival is celebrated for supporting the education sector, making its short films available for schools immediately after the event. Studies show that over 50% of children are visual learners so learning through film is invaluable to their development. Get your school signed up to the Online Digital Viewing Library and throw a mini film festival addressing issues from award winning short film talent. Have you heard of exploring by the seat of your pants? National Geographic have been using the latest technology to connect with scientists, explorers, and conservationists from all over the world through Google Hangouts and Skype for the past year, making lessons available to schools. What are you waiting for? Tap into the education conversation by streaming live sound through your projection and audio set up. 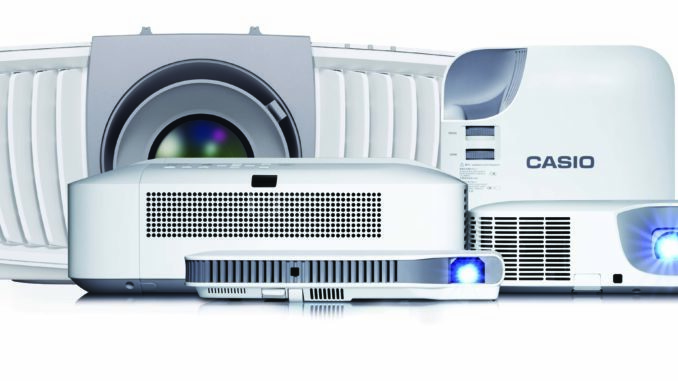 Keep up to date with the latest news and helpful guides at casio.co.uk/projectors.